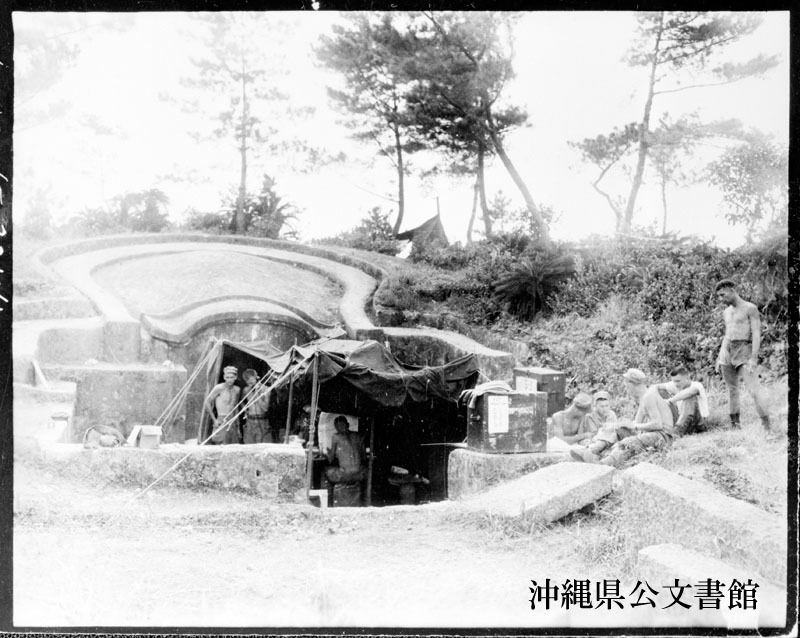 511th Parachute Infantry Regiment Command Post， 11th Airborne Division directly in front of an Okinawan Tomb. 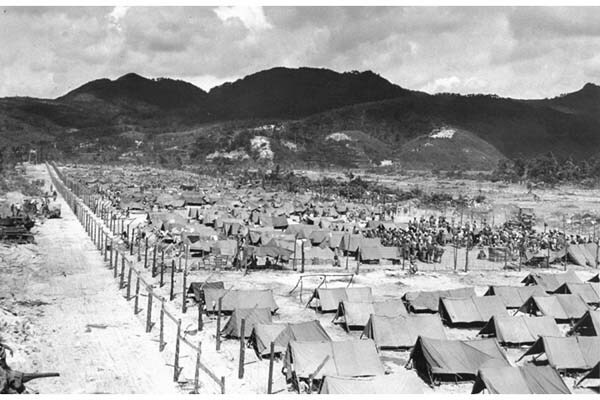 The 148th A. 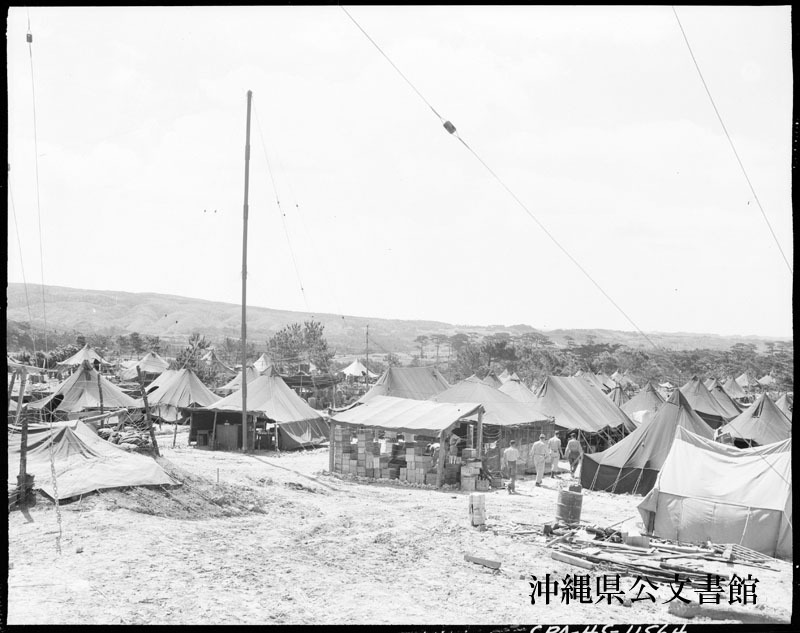 A. C. S. located on Route 1 north of Yontan Airfield. 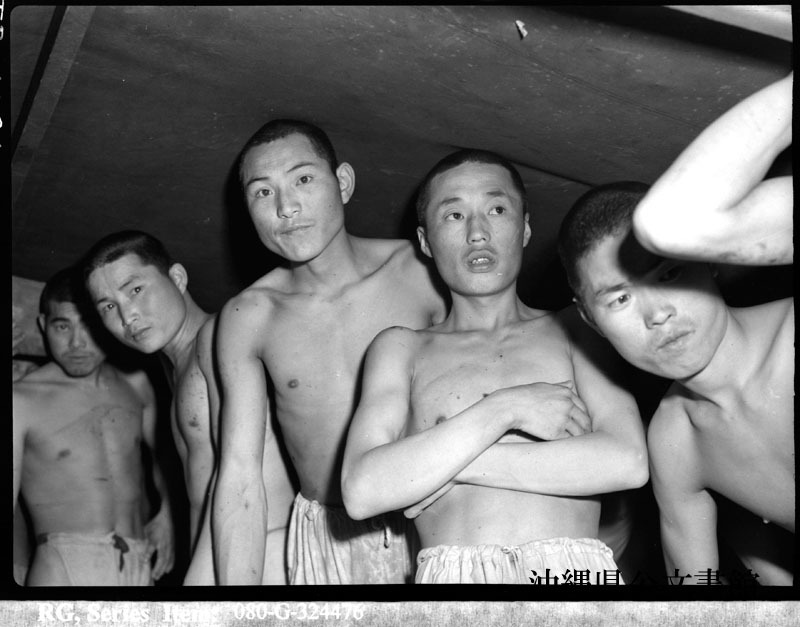 Japs that surrendered at Kerama Retto, Ryukyu Islands.